After 34 years of public service, John Meyer “retired” in 2014. Since that time, he has provided pro bono management reviews to the city of Davis, the US Bicycling Hall of Fame and the University of California, Berkeley. He serves on various boards and committees in support of local government and higher education. 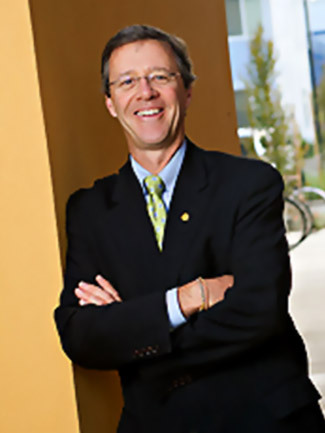 Prior to his retirement, he served as a vice chancellor at the University of California Davis, and during the 1990’s was the city manager of Davis, CA. He was a founding member of the California Bicycle Museum, which subsequently merged with the US Bicycling Hall of Fame. He was also a founding member of the Community Housing Opportunities Corporation, a non-profit organization which provides housing to low-income individuals and families. He resides in Davis, CA and sometimes follows in the slipstream of his wife who cycles over 5,000 miles each year.